The former Homer J. Williamson Chocolate Factory was transformed into “The Overlook at the Fairgrounds” a 4-story, mixed-use building located at 38th Street and Fall Creek Parkway. The structure includes 49 affordable and market rate one and two bedroom apartments, an 1,800 square foot green roof, a furnished space for public events, an onsite fitness facility, and a job training center. 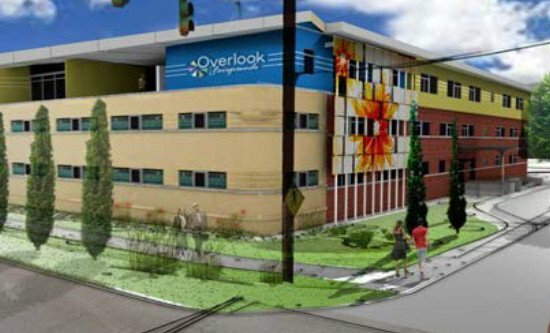 Overlook Apartments is a LEED GOLD project meeting all the requirements of the GREEN Building Council. The project was funded using QAP tax credits and is anticipated to inject new life into the surrounding neighborhood.